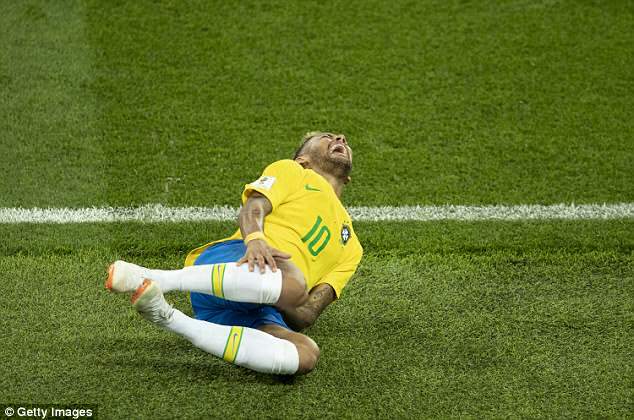 Dani Alves believes the heavy criticism Neymar has received for his diving antics at the World Cup will only make him a better person. 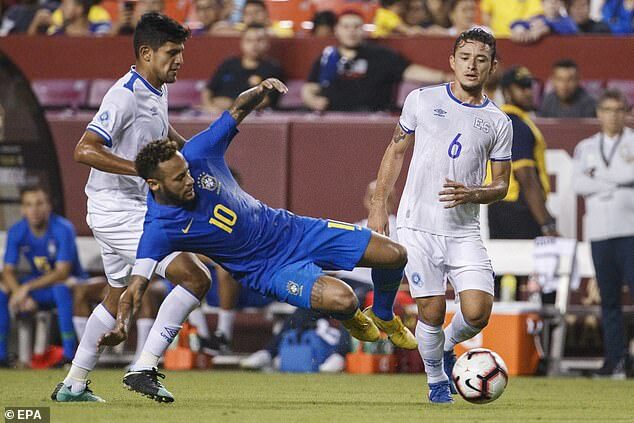 The prolific forward was targeted by the media and his fellow professionals at this summer’s tournament in Russia for a series of dives before Brazil‘s exit from the competition. 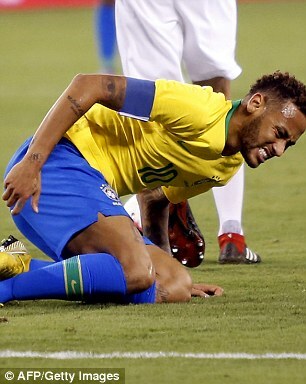 Neymar’s reaction to certain challenges in Brazil’s round-of-16 match with Mexico led to him being mocked by opposition players before they were knocked out by Belgium in the quarter-finals. 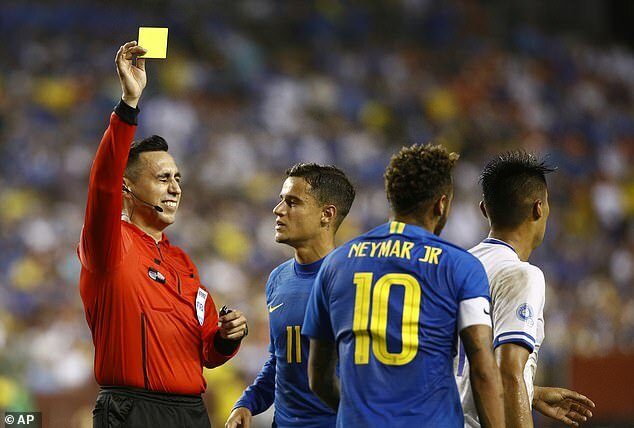 Neymar himself released an advert to say that he was a changed man before complaining that referee Jair Marrufo had a ‘lack of respect’ following Brazil’s 5-0 win over El Salvador. 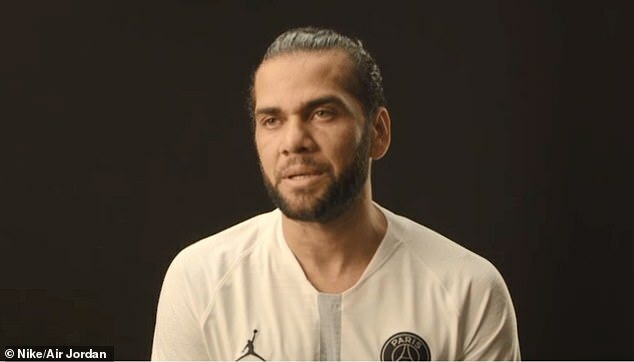 The forward was again booked for diving on Wednesday but his Paris Saint-Germain team-mate and compatriot feels he will become a better person for the experience. ‘In life, sometimes things happen that make you mature and make you realise that you have to improve as a professional,’ Alves said. 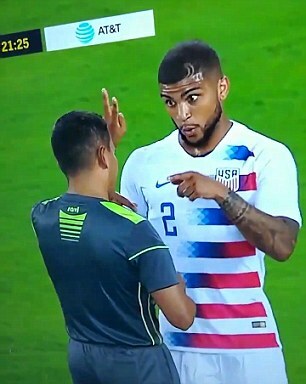 The 26-year-old was criticised for his actions during the World Cup and it is something that Alves believes has made a big difference in making the point that he had to change. 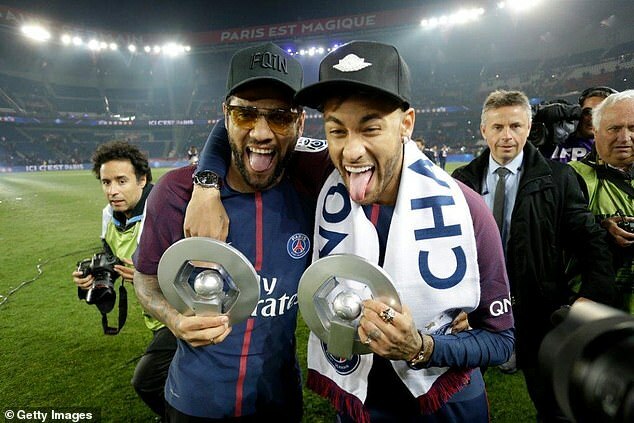 ‘You leave the kid aside and you become a man, and when you start becoming a man, your decisions and attitudes become more weighty,’ Alves added. ‘And I told him that if everyone tells you the same thing and not only one or two people, something is wrong.